In my name and my husband, I would like to thank you sincerely for accepting our visit in Israel, for the organization of our entire stay and the warmth we received from you. We felt great, we felt that we are in the company of close friends. It's hard for me to describe our joy. I thank you with all my heart. 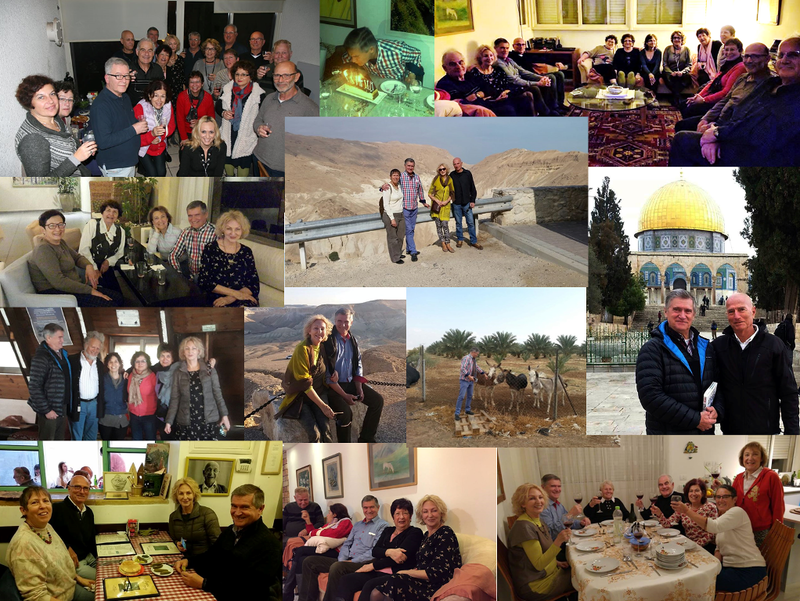 Thanks to you, we saw in Israel a lot of places where one would never know as ordinary tourists. We are very, very grateful. We are blessed with not only real gifts, but your care, attention & friendship. You know well, and it once again repeat that you always have our house open for you. No matter if you come in groups or individual. You can count on our hospitality, and to help organize your stay. I'll soon send to Claudia a new proposal addressed to Servas Israel, staying in Poland. I would like you to know other parts of the Polish, not only those in our vicinity. On the occasion of the upcoming holidays, I wish you all the best. This year, Christmas and Hanukah start at the same time, so all the best.